While you may have your own unique aesthetic in mind when designing your new bathroom, today's trends have embraced the clean lines and clear glass that can be found in many contemporary living spaces. According to The Washington Times, many homeowners are opting for enhanced traffic flow and limited visual obstruction when designing their washrooms. "People are being smarter with space these days," Bill Millholland, executive vice president of Case Design/Remodeling, told the news source. "The approach has changed. In particular, the focus has shifted from the soaking tub or whirlpool tub to the shower, because that's what people use constantly." 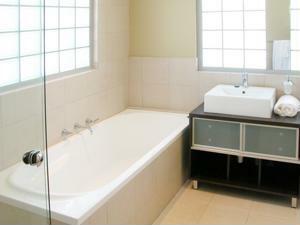 While some people may miss the appearance of a bathtub in their washroom, there are various shower improvements out there that can sell a homeowner on the new style. For instance, some new showers can be fitted with a small shaving step so ladies can rest their legs on something when shaving or a "toe tester" faucet that allows you to test the water temperature before entering the shower. Going with just a shower in your bathroom will allow you to incorporate sleek bathroom vanities and other furnishings that can really open up your space. What additions would you choose to make your washroom more modern?